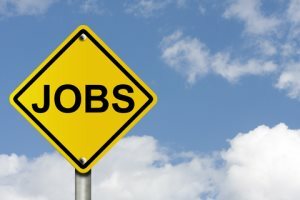 Despite the steady pace at which U.S. employers continue to hire, the U.S. Department of Labor has reported that the unemployment rate rose by 0.1 percent in May to 7.6 percent. The economy added 175,000 jobs last month compared to April’s 149,000 jobs, a gain that was revised down from 165,000. The Dow Jones industrial average was also up 82 points minutes before the most recent jobs report was released. Over the past three months, employers have added an average of 155,000 jobs, a rate that is expected to persuade the Federal Reserve to maintain monthly bond purchases. The Fed has committed to consistently buying bonds until the job market fully rebounds from the recession. The purchases keep interests rates down and stock prices up. Some indications indicate that government spending cuts and a weakened global economy has affected the domestic job market with 8,000 manufacturing jobs being cut and 14,000 federal jobs lost. Cuts to both workforces have occurred for three consecutive months. Hourly wages rose by one cent, on average, settling at $23.89 though inflation has increased 1.1 percent over the past year while wages have outpaced it with a 2 percent growth. The economy grew at an annual rate of 2.4 percent during Q1 2013 as consumer spending increased at its fastest pace in over two years. Though many economists expect deep federal spending cuts and rising Social Security taxes to slow growth during Q2 down to an annual rate no more than 2 percent. Consumers also failed to realize income growth in April resulting in spending cut backs for that month for the first time in about a year. There are some positive economic signs as service companies reported increases in new orders, which could mean businesses may expect even more over the next few months. The improving housing and construction markets are also providing support to help compensate for a weaker manufacturing industry.